Cystic degeneration can occur with various bone lesions. These non-epithelial lined cysts vary from aneurysmal bone cyst, solitary bone cyst or non specific cystic degeneration. In jaws, this association is not well documented. In literature only three cases have been reported as ossifying fibroma (OF) with cystic degeneration. This case appears to be the fourth case to highlight non specific cystic changes in OF. 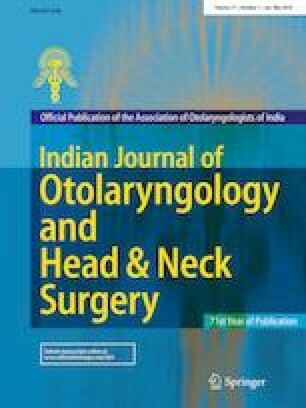 We report a case of OF in 23 year old female with asymptomatic swelling over the left side of face for the past 3 years involving the maxilla, maxillary sinus as well as nasal cavity. Histopathology revealed it to be OF complicated by non-specific cystic degeneration. OF of jaws is an odontogenic neoplasm arising from tooth bearing areas. It occurs more commonly in women in posterior mandible region. Microscopically it shows variable mixture of osteoid bone and basophilic acellular spherules while bony trabeculae frequently demonstrate both woven and lamellar patterns. Various pathogenesis have also been highlighted behind the cystic degeneration’s in bony lesions. A review is also tabulated of OFs with cystic degenerations in the jaws reported in the past.